Chris Smith is a director with a tight release schedule, the premier of Black Death coming less than a year after the premier of Triangle at last summer's Frightfest. This is the economic reality of being an up-and-coming director nowadays, tighter budgets and smaller profit margins meaning more work and less time to chase perfection. This has tripped some film makers up. Nicholas Refn's recent Valhalla Rising, in many ways a similar film to Black Death, was let down somewhat by a rushed second half. Chris Smith seems to have a tighter grip on the production process, and although Black Death shows some of the imperfections of a punishing schedule, it is on the whole atmospheric and well constructed with an intelligent, thought provoking finale. Black Death is set in fourteenth century Europe, in the midst of the first of the plagues that were to reduce its population by a third. It's a grim, apocalyptic world of deserted villages and rotting corpses, complimented by damp, oppressive forest and swamp locations. It's dirty and nasty but not quite as bad as it could be, with none of the starvation or blank-eyed refugees of reality, everyone divided neatly into the unthreatening infected and the healthy living. Into this steps a well cast Sean Bean as an aggressive bishop's envoy, tasked with his band of Christian warriors to find an uninfected village rumoured to be ruled over by a pagan necromancer. He recruits a young monk as his guide, and they embark on a straightforward quest journey that takes up the first half of the film. Violent encounters, a bleak atmosphere and above all a group of well-played, man's men characters keep it all rolling, though some directorial clichÃ©s and an occasionally overpowering score sometimes undermines the simple, stripped-down aesthetic. The second half of Black Death is set in the pagan village, where the Christian band find hospitality and then hostility as their intentions are uncovered by the inhabitants. Both Carice van Houten and Tim McInnery (who, coincidence has it, are best known for their parts in Black Book and Blackadder respectively) play their roles as the village elders brilliantly, McInnery slimy and two-faced, van Houten hard-edged yet ethereal. The moral ambiguity of the clash between Christianity and paganism becomes a bit lopsided as the need for a dramatic finale approaches, but this is accompanied by clever plotting and some increasingly ingenious and nasty deaths. It isn't until the final scene, a postscript from a few years into the future, that the full political nuance of the film is revealed. The human failings behind religious fundamentalism are explored in an intriguing historical context that retrospectively frames the rest of the movie. 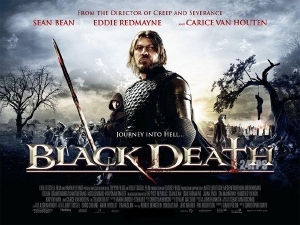 It changes Black Death from an enjoyable and atmospheric swords and sorcery movie into something altogether more profound, and it is thoughts of this you leave with, any clichÃ©s and flaws forgotten. Great review man. Glad to hear the film is decent. Smith is a great talent. When the film is finally released on DVD here, I plan on doing a Black Death / Solomon Kane marathon. Sort of like a British dark fantasy double bill. 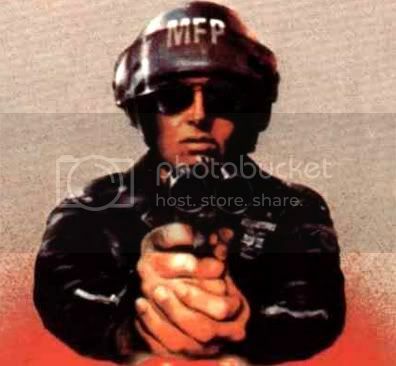 I mention Refn as well in this - I think they're similar directors, very versatile and original (Refn perhaps more artistic, Smith more focused), but they need someone to take confidence in them and give them the time and budget they deserve. It's going to be great watching them grow. Well, Refn is signed onto a pretty big thriller called DRIVE, which has some money behind it. Neil Marshall was originally supposed to make it. Not sure why he dropped out. Ryan Gosling's in it. Very well written. No spoilers. Intriguing. Makes me want to see it. They definitely have the look of the film right and the performances are great (particularly from Redmayne who I've seen before but haven't liked in much - though he's great in PILLARS OF THE EARTH) but overall, I didn't care for this. Something about it just didn't work for me and I think it's the finale that did it - the voice over in particular. Yeah I know what you're saying, voice overs aren't usually a good thing, worked for me in this case though. I think it's because it brings the film into the history of the time. I liked the film for its moral nuance until the end. I unfortunately guessed the twist regarding the love interest, and the final segment seemed tacked on and contrived. I'd rather have imagined the young Monk's future for myself. Thanks for the insightful review, though.